If you’re new to this whole grill smoking business, then you probably only have some slight idea on how to smoke vegetables and meats and you probably also have limited knowledge about the tools used for it. Things like accurate temperature monitoring and heat absorption are two critical aspects of producing high quality smoked meats. The key to a successful smoking or grilling of a good brisket and other BBQ recipes is to have the proper smoking tools and provisions. 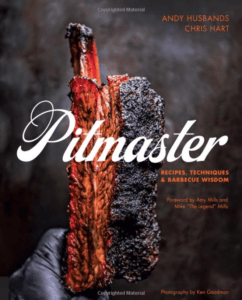 That’s why we’ve put together a quick guide to some of the most essential barbecue smoker accessories that professional pitmasters and smoked meat enthusiasts use that should also be in your list of smoking/grilling tools. Smoking meat is a delicate matter that requires precise temperature measurements as the process itself can take several hours, days and sometimes even weeks. In order to get accurate temperature readings inside the belly of a scorching smoker grill, you will need a quality smoker thermometer. Multiple probes in order to detect and monitor any number of heat sources simultaneously. Wireless connectivity to allow for remote and push button operations. Rugged, durable design which can withstand the extreme temperatures inside the smoker and helps save you more money from purchasing a new one every month or so. Easy to use, has a clear display and gives out accurate readings. The next thing to consider acquiring for your smoker tools is a grill untensil set. A typical grill utensil set includes spatula, fork, tongs basting brush, knife, 4 skewers, 8 corn skewers, grill brush with replacement head, 1 replacement head, and salt & pepper. All the tools must be made of good quality stainless steel and rubber, so they won’t rust or crack and can be relied upon for years. If you’re lucky enough, then you should be able to find ones that have 5 – 10 years warranty with them! Your hands, by design, are very useful and just about every person on Earth have enjoyed using theirs for their own benefit as well as have benefited others. However, they are also sensitive and can get damaged easily like when you’re working under extreme conditions such as grilling or smoking food and meat. To keep you very useful yet very delicate hands from suffering minor burns while working on a grill smoker, you would have to wear heat resistant gloves for grilling. These things are made with multiple layers of protection which are all fire-resistant, so you’ll stay protected even if you reach into the coal pit of your grill or smoker. Read more about BBQ grills and essential equipment from this blog. As an experienced pitmaster, I can tell you that starting up those charcoal lumps or briquettes takes forever to do. In order to mitigate this obvious obstacle, the company saw potential for this market and started creating the charcoal chimney starter. A chimney starter is a small cylindrical device designed to light up charcoal fuel faster than doing it in the charcoal chamber in BBQ grills and smokers. By utilizing lots of oxygen going through sizable amount of holes on the bottom plate of the starter as well as around the lower extension of it, you can set the charcoal briquettes on fire in 30 minutes or less. You also don’t need to use lighter fluid or any type of liquid catalysts like kerosine or gasoline to light the charcoal lumps, all you need are old newspapers or natural lighters or firestarters. Sometimes the simplest of things suddenly becomes a difficult task simply because you do not have the proper tools to handle them. Like for example, transferring those chunks and slabs of meat from the grill grates to the dinner plates. The smoldering heat from the coals is roughly between 250 – 350 °Celsius, so you can’t grab the meat by your hands and even if you were wearing heat resistant gloves you might also ruin the meat or drop it by accident creating more mess in the process. The answer to this predicament are the meat shredding claws! I know their name sounds like counterintuitive, but trust me they do the job well. These meat claws are good for lift a heavy roast as well as shred pork and since they are made from they are made of sturdy BPA-free nylon, you can easily clean them in the sink or dishwasher. If you want to grill any combination of various meats, vegetables, seafood, or fish, then you will need those kebab skewers. In Turkey they call this type of grilling “shish kebab” and this practice goes way back to ancient times, with mutton or lamb being the most common meat of choice at that time. You can buy skewers made of wood or stainless steel, although it is highly recommended that you go for the metal ones as they can be used many times and are easy to clean. 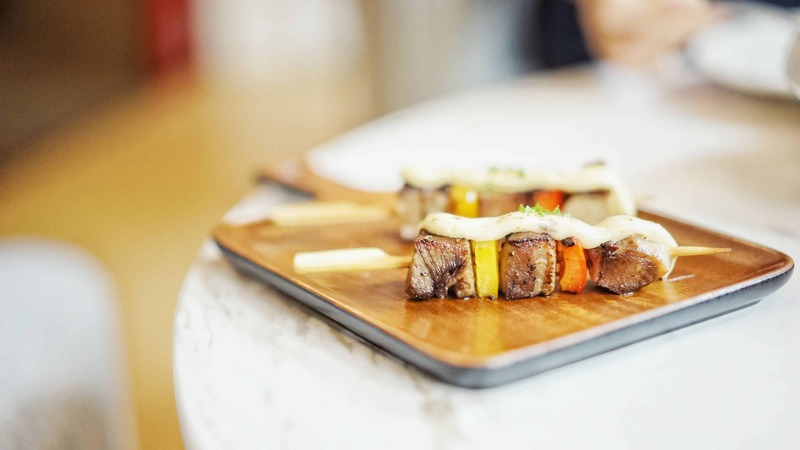 For best kebab grilling choose a stainless steel skewer that is flat-bladed as it does not allow foods from spinning along their axis which can result in uneven cooking. Firestarters are from saw dust, wood chips and other wood debris collected and recycled or repurposed for starting fires in charcoal grills. They’re quite useful in starting fires to light up your charcoal lumps/briquettes without having to use lighter fluid or any liquid fuel, which are dangerous and undesirable in lighting up charcoal. They catch quickly, even in damp (seaside/rainy/winter) conditions, and burn at least as fast as 15 minutes, which is a lot faster than starting the fire directly in the grill. It is unfortunate that sometimes just by not having the right tools you are unable to grill fish or vegetables on your charcoal grill. Spaces in a grate make it difficult to keep small foods from falling through to the coals, and sometimes skewered food is a pain to hold together. However, that all changed when the grill basket was introduced in the grill industry and pitmasters as well as grilling enthusiasts couldn’t be more happy about it! Just set the fish or vegetable inside the basket and then you can grill away with zero worries about foods falling through the grill grates. You can flip it from side to side and the food will remain in place, because the basket will not allow it to fall off. With this efficient tool you can even smoke indoors! What is grilling without tender pork spare ribs? It would be incomplete; however, the problem with grilling ribs is that they take up so much space that you either cook them 2 pieces at a time, which will increase the wait time for dining up to 2-3 hours; or use a rib rack to cut the time to do it by 70%. The rib racks will also reduce the space-hogging pork ribs down by about two-thirds of the entire cooking surface of the grill as the spare ribs will be lying vertically across the grill grates. The result is a faster cook time and you also save space and be able to grill more spare ribs than when done the usual way. The one unavoidable task that you’ll need to do while grilling your favorite recipes is lifitng the grill grates to replenish the charcoal briquettes or wood smoking chips in order to keep the heat at ideal temperatures. The problem with this thing is that the grill grates will reach temperatures in excess of 200 °Celsius and it wouldn’t be safe to touch it even if you were wearing heat-resistant BBQ gloves. Fortunately, there is a device called the grill grid lifter and what it does is exactly as it’s implied in its name – to lift the grill grates. Now you can safely remove the grill grates and be at a safe distance of 2.5 feet while replenishing the coals or wood chips in your grill. It’s a nifty device that has a long stainless steel rod, a silicone handle and a bottom square contraption that has a locking mechanism that securely holds the grill grates in place, so you can lift it. Once you’ve placed the grill grate safely on the ground, then you can unlock the grill lifter via a trigger on the handle and your hands will be free to do other things like pour more coals or wood chips, prepare the next batch of food to grill, etc. You can also read about other BBQ smoker accessories at lakesidesmokers.com.